Slide-Lok garage floor coatings feature excellent color and gloss retention and are available in a wide variety of colors. Garage floors from Slide-Lok also feature coating system technology that is UV resistant as well impact and abrasion resistant. What makes Slide-Lok garage floors the best in the industry is our use of a coating that is 4x stronger than epoxy, takes 1 day to apply, and will not yellow, fade or chalk. garage floor warranty make Slide-Lok the obvious choice. Ask your local dealer for warranty details. 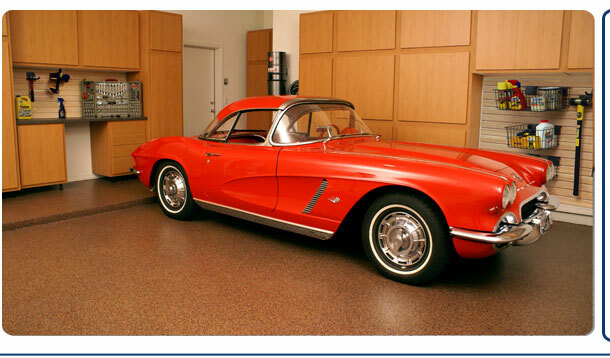 Garage Flooring by Slide-Lok utilizes a new generation of fast-curing material. Our garage floors can be applied at temperatures as low as -20oF/-29oC. Limited Lifetime Warranty -- Please contact your local dealer for details.